Online poker continues to grow in popularity and its appeal shows no signs of waning. While there's a mixed crowd of poker players across the globe, there are a few potential advantages to getting involved in a few games as a millennial – and no, it's not just to win the money for a deposit on a house (although obviously that would be a mighty fine advantage). It's an enjoyable way to utilise skills. Millennials are the most educated generation ever. All those budding mathematicians, physicists, psychologists and other highly educated individuals out there could well be able to use their skills to give them an insight into poker in numerous ways. Obviously, mathematicians, statisticians and other number-related professionals are going to have the main advantage, as card counting is a very real strategy in professional games of poker. Millennials also tend to have more trouble getting jobs that make best use of their skills and education, so a few games of poker (just for fun with no financial investment) can be an enjoyable way to flex that intellectual investment from time to time. It's also worth remembering that some of the best and most successful poker players are very well educated – Barry Greenstein studied for a mathematics PhD, and Annie Duke studied cognitive psychology. It lets you blow off some steam. According to some sources, millennials are far more likely to experience depression compared to other generations. This can be a crippling condition and having a way to let your hair down and take your mind off things is important. Playing any kind of game is a great distraction for the mind, as you focus on the task (or hand) at hand. 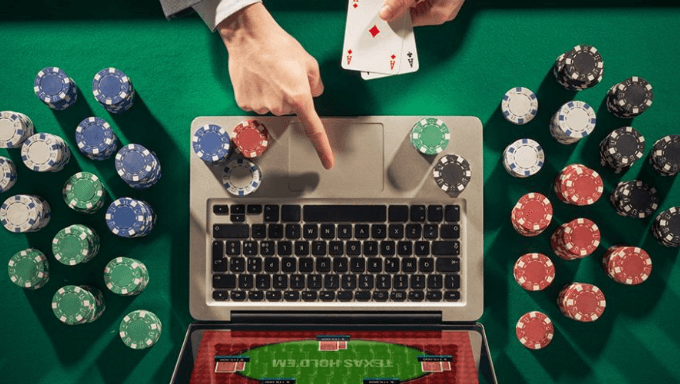 Poker is no exception, and the great thing about online poker is you can play a few hands almost anywhere provided you've got a mobile device (which you probably will have if you're a millennial, right?). Obviously, if you're playing when feeling low, only play games with low or no stakes at all, as losing money isn't going to make anyone feel better. With job prospects being what they are for millennials in general (in the US, 40% of the unemployed population are millennials), becoming a professional poker player is certainly an option if you really love the game. It's not an easy career of course, and takes a lot of dedication, work and a sensible attitude towards your finances. Having said that, because online poker is so commonly available nowadays, you can start out immediately and with minimal investment. You're also not limited by location, and the poker world has seen the rise of some great players as a result of the online game, many of whom might not have had the opportunity to get to the lofty heights of the professional game without online tournaments. If you get really good, there's also the prospect of sponsorship from online casinos. Last but not least, it's fun. While all the above reasons are certainly good enough, the most important one is the last: Play for enjoyment. Online poker brings the game to you wherever you are while retaining the social aspect, and you can chat and play with people from all over the world. Even if you don't know too much about the game, playing online is a cheap (as long as you play the free versions) and easy way to learn about the different types of poker out there. That means millennials can transfer their knowledge of Texas hold 'em to campfire games when they're off glamping at the latest small festival no one has ever heard of. Ultimately, poker isn't a real solution to any problems that might be faced by millennials or anyone else, but it's certainly a fascinating diversion that provides challenge and thrill for those who play. These are good enough reasons to try a few hands if nothing else but do always remember to bet sensibly (if at all – you can still enjoy the game without placing real stakes). As long as you don't expect every game to be the one that nets you a seven-figure pot so you can finally move out of your parents' house (Thought not completely impossible), then poker is an enjoyable pastime, whatever generation you’re from.